The decision to invest in a home is one of the most significant choices that you make as a parent or spouse. Your new home becomes the setting for your daily family life, as well as one of your biggest assets. Steve Anderson can help you find a Las Vegas, NV home that you’ll love to live in. 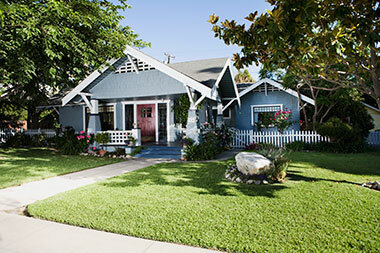 We work with both buyers and sellers of single family homes, so we get reliable information about new listings quickly. Our listings include everything from luxury homes and new construction to comfortable, standard properties. Our range of listings enables us to help prospective homeowners with a variety of budgets find the homes they’re looking for. Browse the listings below to view some of the homes currently on the market. Click on your chosen property’s thumbnail for more pictures and property specifications. Steve Anderson works under RE/MAX Benchmark Realty, a national real estate authority with locally owned and operated offices across the country. When you work with us, you benefit not only from Steve Anderson’s decades of experience in real estate but also from his local knowledge and national support system. Contact our office today to inquire about any of the listings on this page. This is a one-stop real estate website for all your home buying and selling needs in Las Vegas, NV.